Help your products get found on large marketplaces by adding descriptive page titles. It's a competitive world out there, and having even the slightest edge can bring more sales to your business. Details matter - and one of the many details at work when it comes to selling online is having rich data to back up your product photos and pricing. Writing a descriptive page title for your products can help get the products noticed by search engines and shoppers alike. 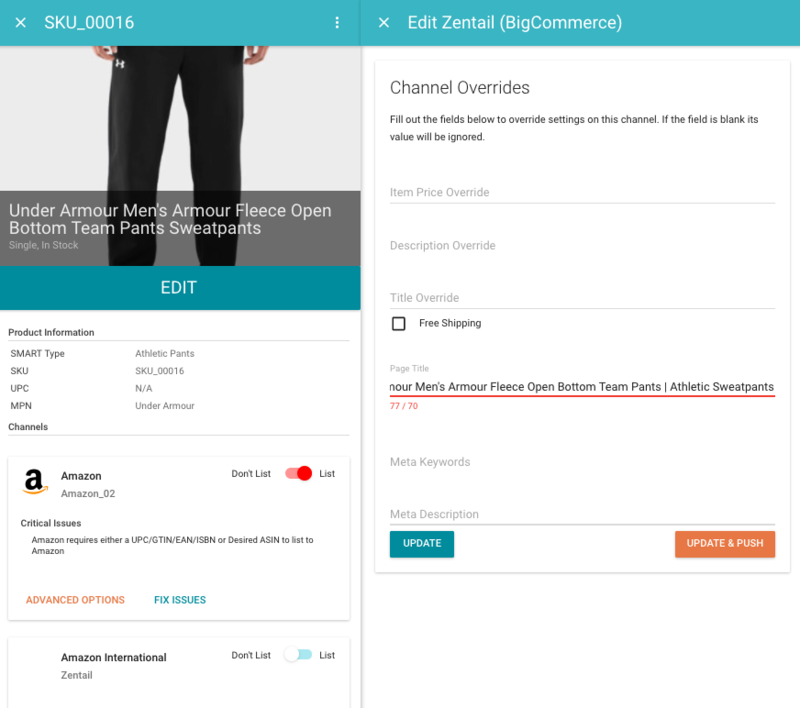 This article will explain what a page title is, and how to add a page title to your products on Bigcommerce in Zentail. A page title can be thought of as the 'headline' for a product. It is very similar to a product name, but with a bit more room to write. Page titles help shoppers and search engines find your products, and this leads to a better chance at standing out on the marketplace and making sales. On the left side of the page, scroll down. After scrolling down, you will see the BigCommerce section. An area to add a page title will appear on the panel that opens up on the top right. Now that this product has a page title with keywords inside the page title, it has a better chance of being found and purchased through BigCommerce. Thinking about the page titles of products in your catalog and revising these page titles for better search engine optimization will help your shoppers locate your items and will lead to more success. Feel free to chat with us at Zentail if you could use a hand with thinking about page titles and optimizing your store for BigCommerce.